First of its kind in Switzerland, the CAS will focus on the methodologies used to generate, analyze and interpret patients’ molecular profiles, also touching upon the associated technical, regulatory and ethical challenges. The CAS aims at providing a comprehensive and integrative view of the field, by covering all the aspects involved along the pipeline: (i) tumor biology and genetics, (ii) molecular pathology, (iii) clinical bioinformatics, and (iv) clinical oncology. Each module consists of 4 days of presential teaching, either in Lausanne or Basel. 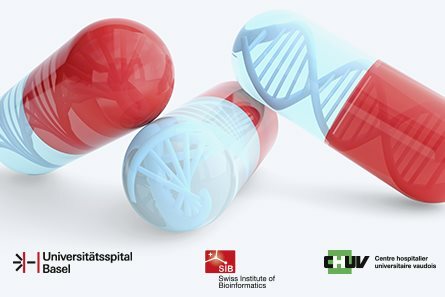 The CAS is organized jointly by the University Hospital of Basel, the University Hospital of Lausanne, and the SIB Swiss Institute of Bioinformatics. Please check the website for exact dates and venue. Registrations close on 17 June 2018.